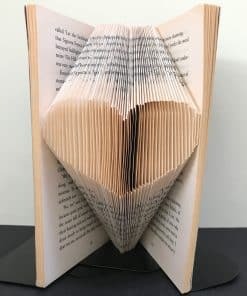 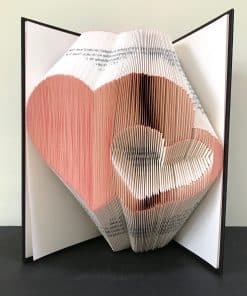 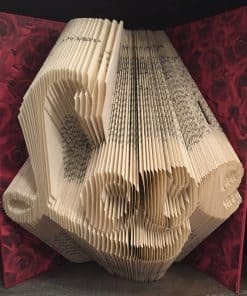 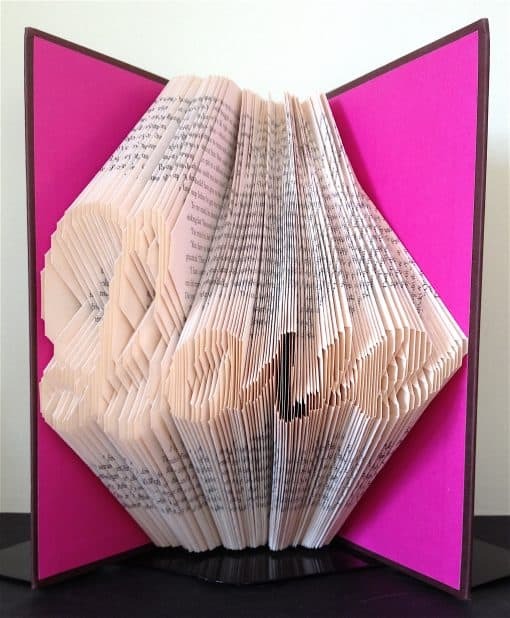 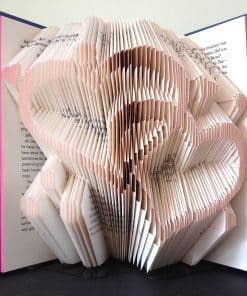 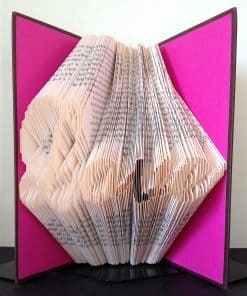 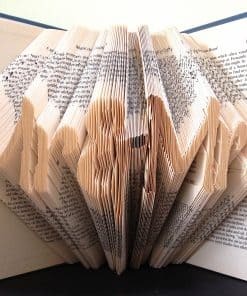 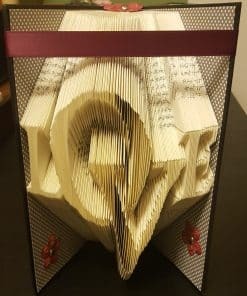 This “Swirly Love” word pattern allows you to create your own folded book art as pictured in the book above. 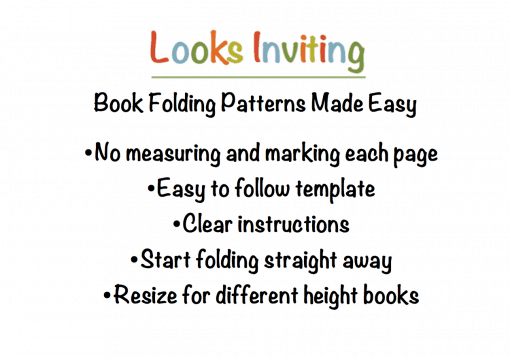 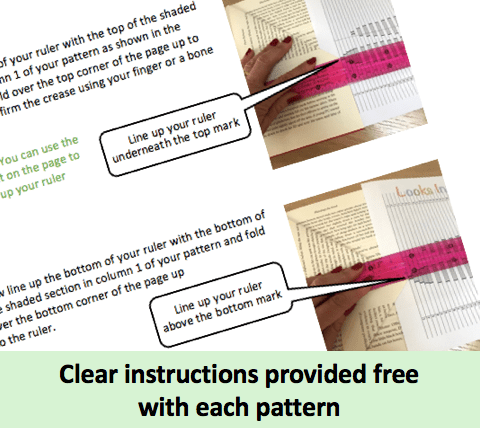 The pattern requires 174 folds so you will need a book (preferably hard backed) with at least 348 pages and which is a minimum of 21 cms tall (8 inches). 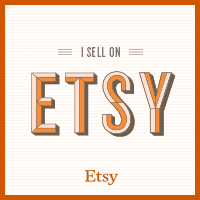 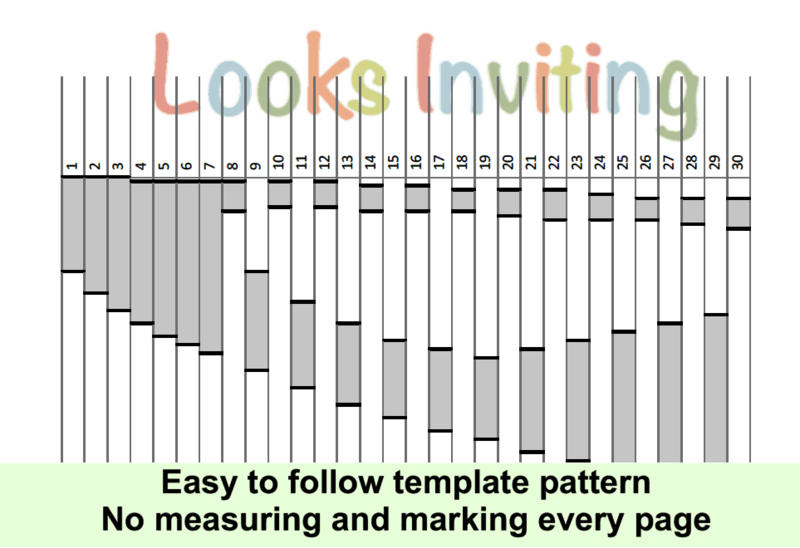 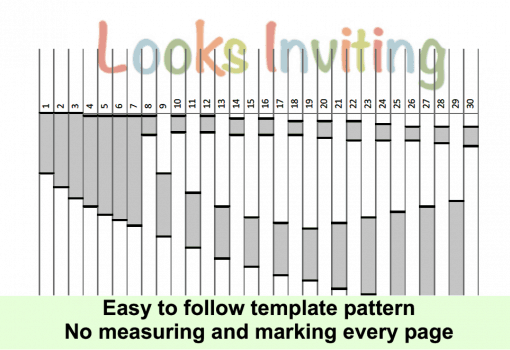 This pattern is an original design by Looks Inviting and may not be copied, shared or sold under any circumstances. 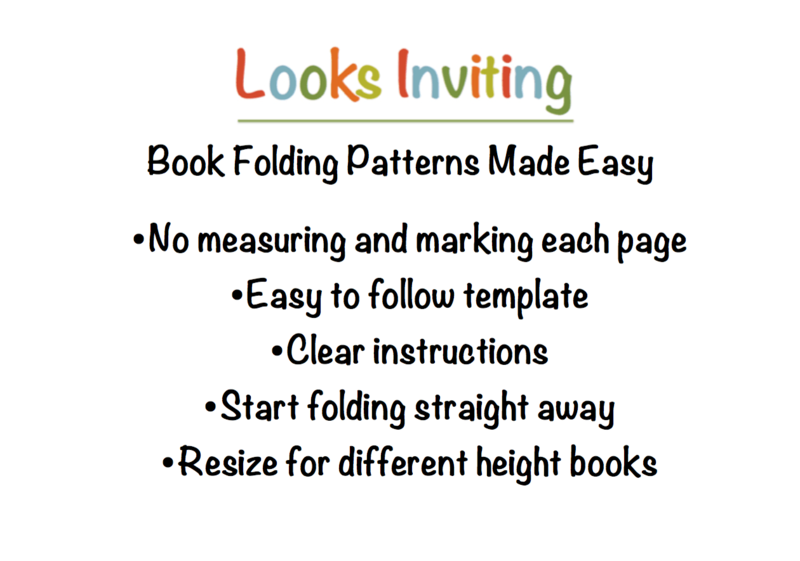 However, you are free to sell completed books made from my patterns.